Today, Viome announces it has entered into an agreement with Campbell Soup Company (NYSE: CPB) to acquire Habit, a leading personalized nutrition company that takes the guesswork out of eating right. Now operating as one, the two industry pioneers become the most comprehensive solution on the market. For the first time, consumers have complete insight into what is going on in the body, and how to translate those insights into powerful recommendations to address “whole-body” health. Financial terms of the transaction were not disclosed. To learn more about the power of personalized nutrition and whole-body health, please visit www.viome.com. About Viome: Viome is a new kind of healthcare company that uses artificial intelligence to understand what is going on inside the body at a molecular level. Viome specifically addresses issues in the body related to the Microbiome. Viome targets the bacteria, viruses, yeast, fungus and mold in the system that work symbiotically with the body to provide the nutrition needed to feel energetic and stay healthy. Through these insights, Viome provides consumers with personalized diets, nutrition and lifestyle recommendations for healthy living. 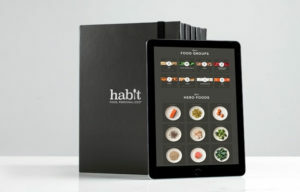 About Habit: Habit is the first personalized nutrition company offering a whole body approach, with an at-home test kit and individual nutrition plan identifying the right foods for you. The company is challenging the multi-billion-dollar diet industry by providing custom nutrition plans based on an individual’s own biology.